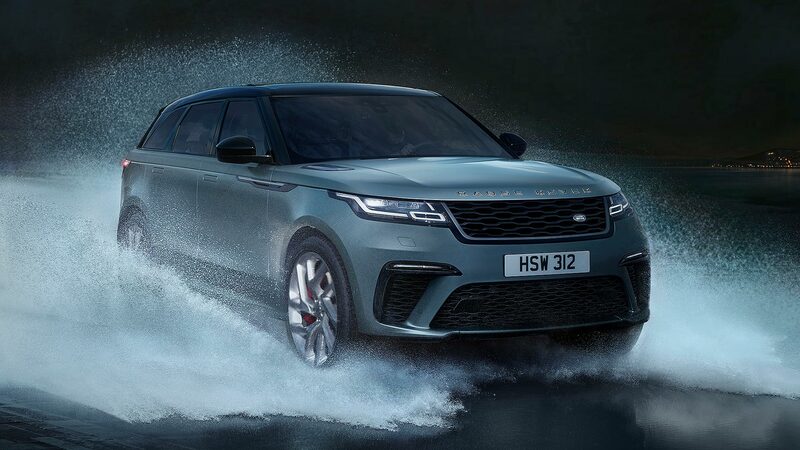 The Overfinch Velar breaks the modification mould by being relatively subtle. You’ll find no sprouting wings or gaping vents here. 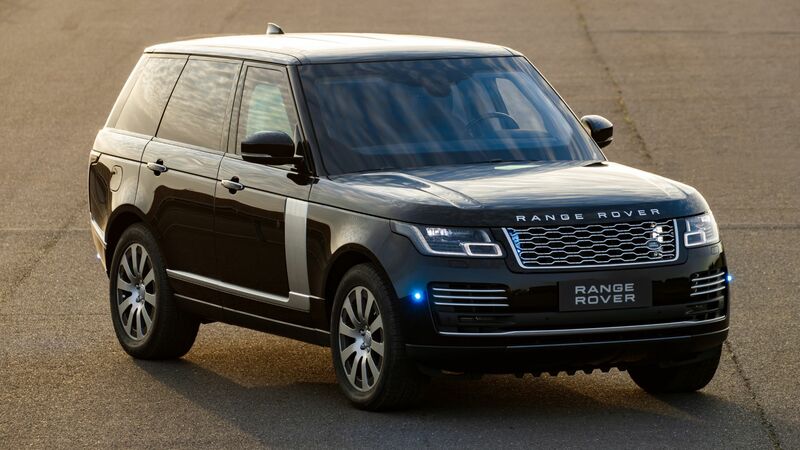 From a distance, it looks like a very well-specced Velar. 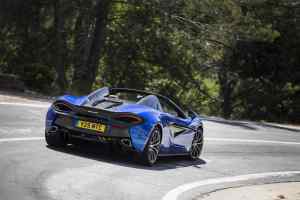 The full upgrade package consists of a carbon fibre grille, front splitter, fog light apertures, rear spoiler, diffuser, custom tailpipes and 22-inch wheels. Customers can cherry-pick parts or take the lot. 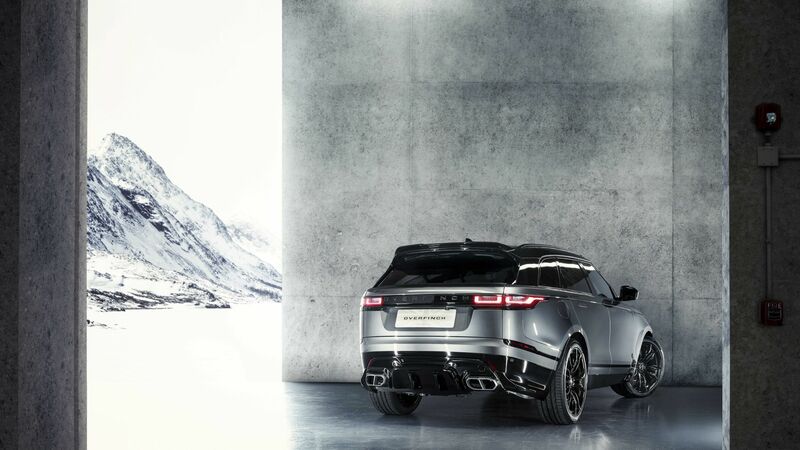 All accessories offered in carbon can also be made from what Overfinch calls ‘technical composite’, which comes in high-gloss black. 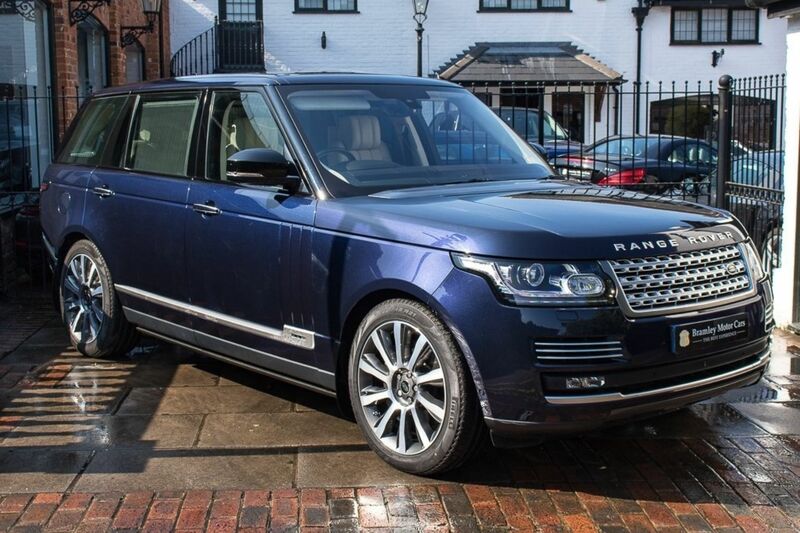 While it wouldn’t look out of place sat outside the Dorchester hotel or trundling down Sloane Street, it’s a comparative shrinking violet compared to a lot of aftermarket models. 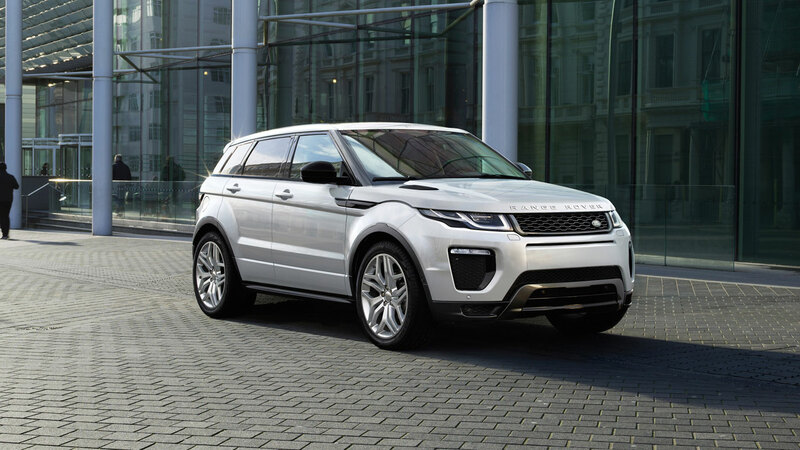 You can either buy parts for your stock Range Rover Velar, or buy a new car directly in whatever level of Overfinch preparation you desire. 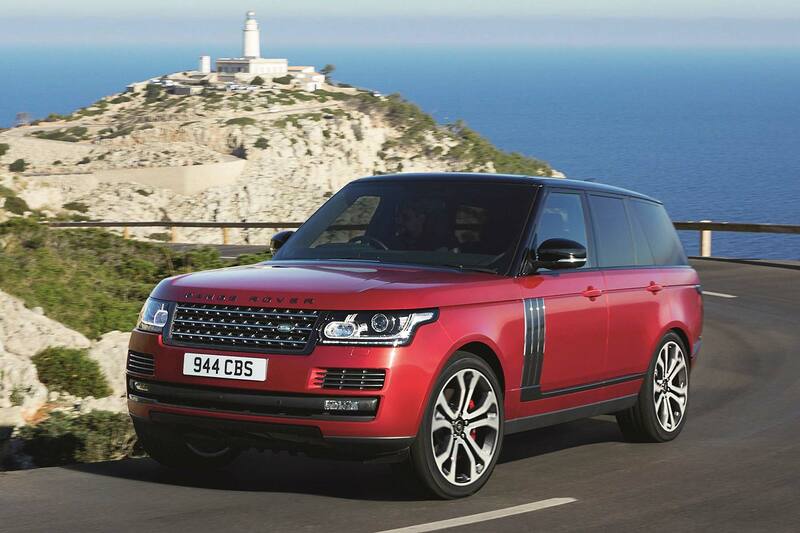 Beyond this package, Overfinch can do whatever you want. 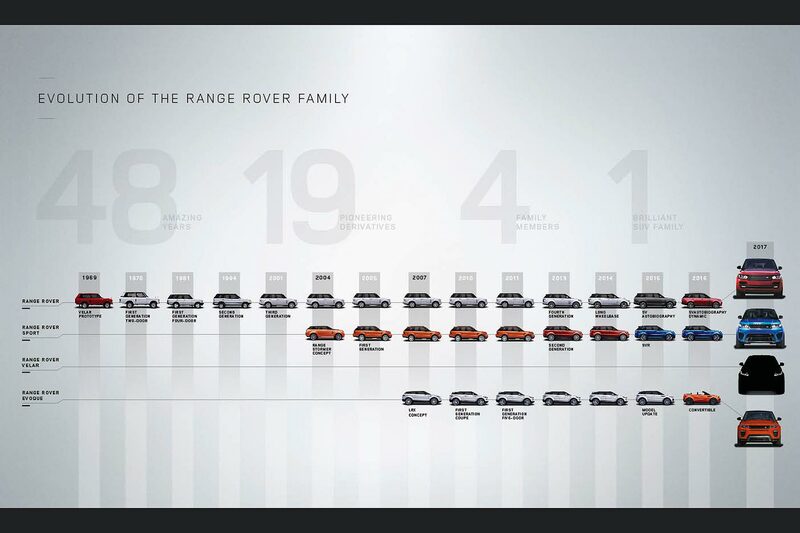 It’s effectively a modern-day coachbuilder, in that your funds are the only limit to the level of customisation. 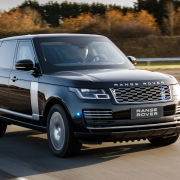 Jaguar Land Rover’s Special Vehicle Operations division has shoehorned a 5.0-litre supercharged V8 with 550hp into the sleek, stylish, World Car Design of the Year-winning Velar. Because of course they have. 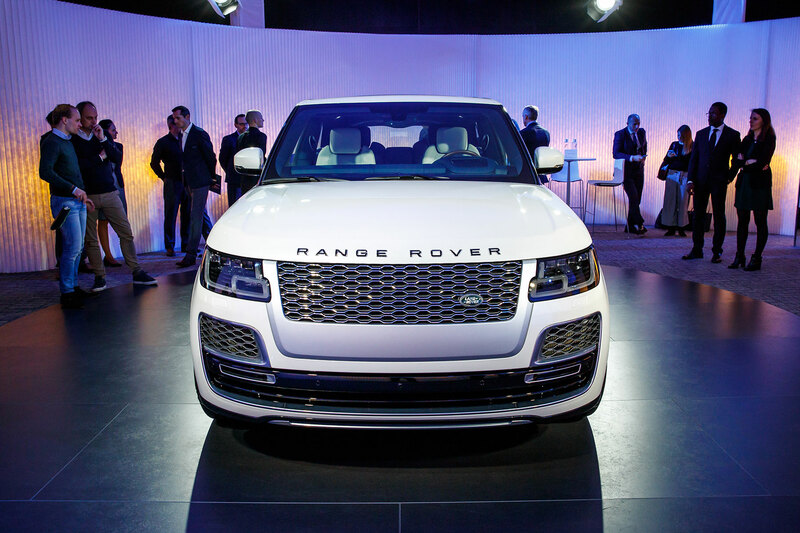 Welcome to the Range Rover Velar SVAutobiography – here to fill that SV Coupe-shaped hole in your life. 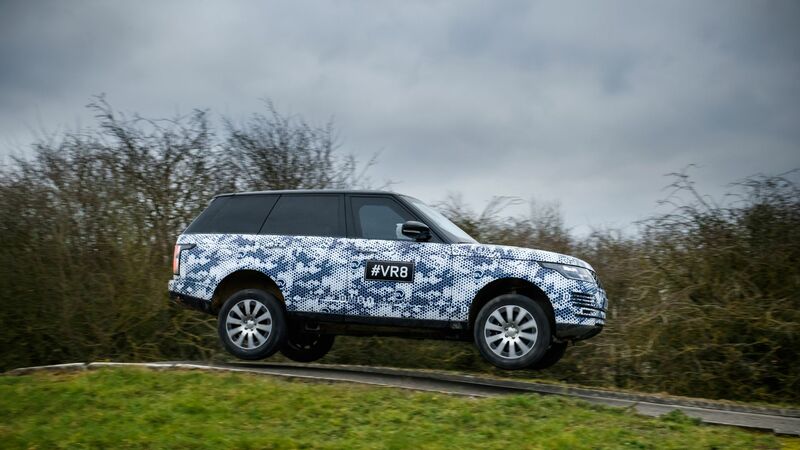 If it comes from SVO, then you can normally tell it a mile off. The V8 Velar is no exception. 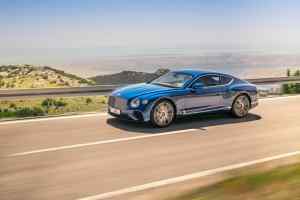 ‘Optimised aerodynamics’ translates into air-gorging inlets to feed the V8 and cool the upgraded brakes. 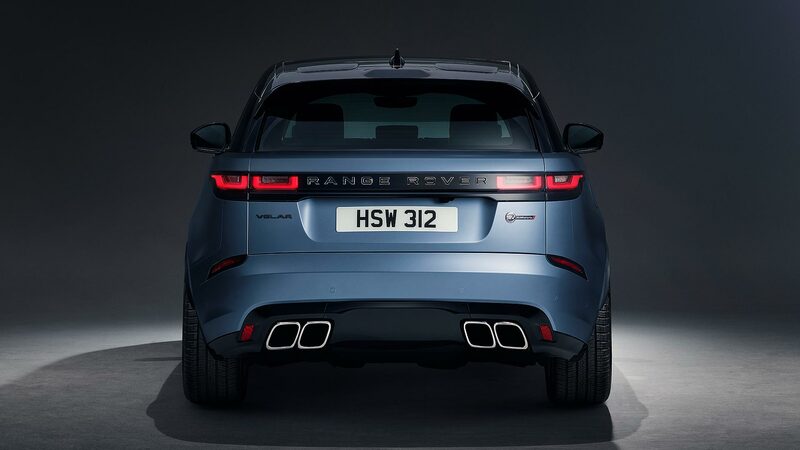 They work together with quad exhaust outlets as big as their bark to mark the SVA out as something altogether more aggressive. 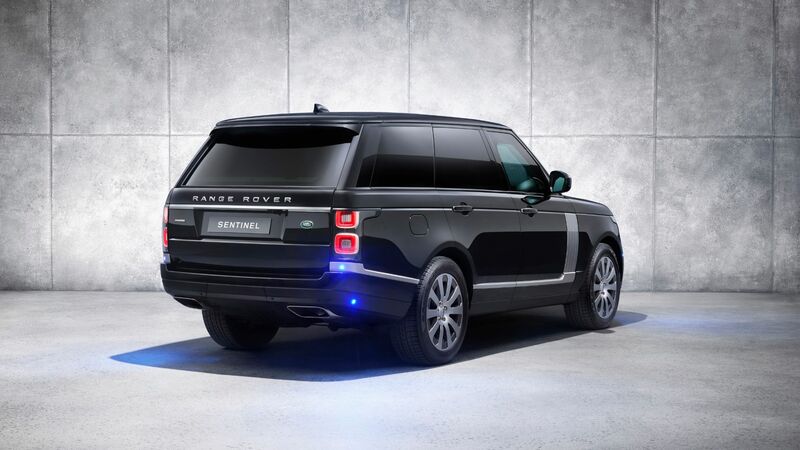 The ‘beautiful’ Range Rover just got sinister. There is a whiff of sophistication, mind. 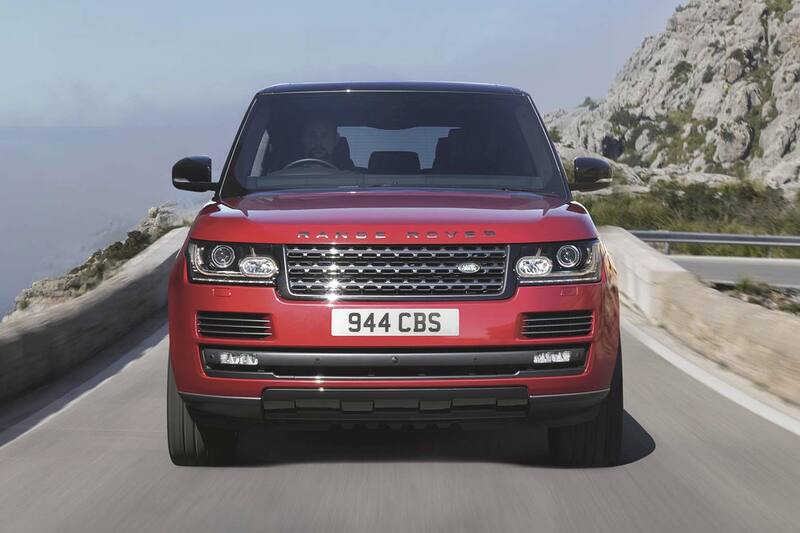 The Range Rover lettering on the bonnet and tailgate is now knurled like the dials in a Bentley. 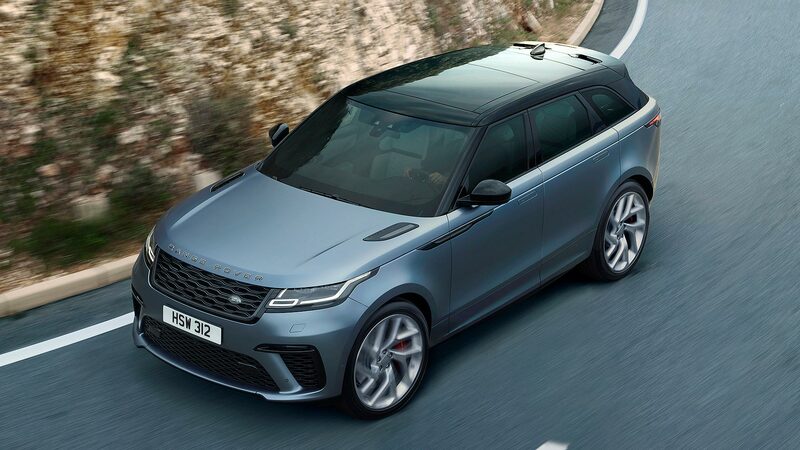 This ‘Dynamic Edition’ is the only Velar available in Satin Byron Blue – a bespoke Special Vehicle Operations colour from the Premium Palette. 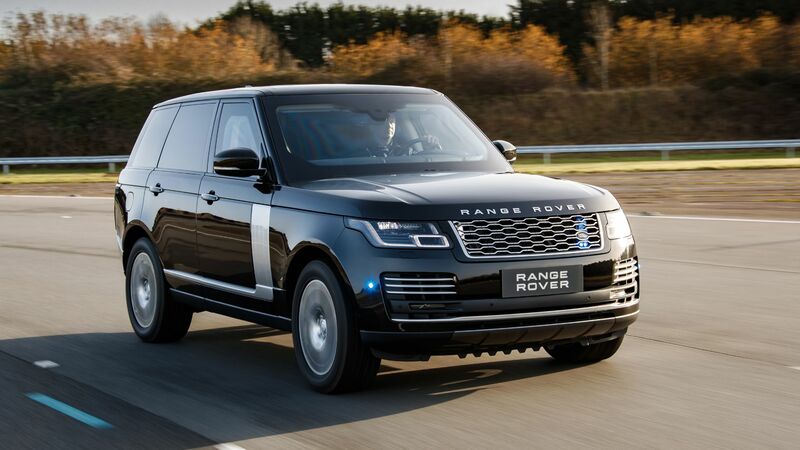 The star of the show in the SVAutobiography is the engine. 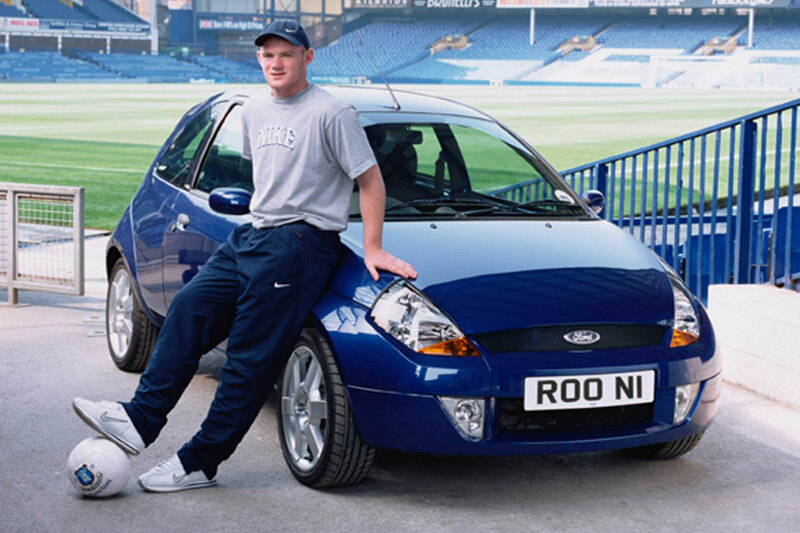 There isn’t a car that engine features in where it isn’t the star of the show. 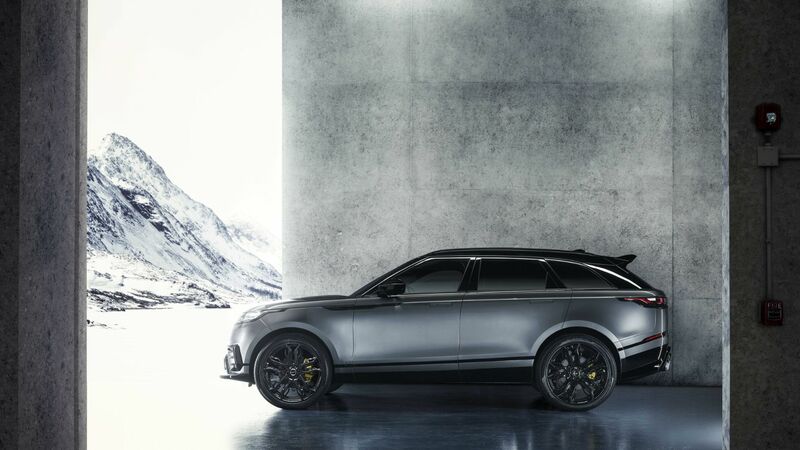 With its 550hp and 502lb ft, the Velar SVA will dispatch 62 mph in a supercar-baiting 4.5 seconds before going on to a top speed of 170mph. No doubt all of the above performance rides a bloodcurdling bow wave of V8 ruckus from the lighter variable exhaust. There should never be go, without stop. 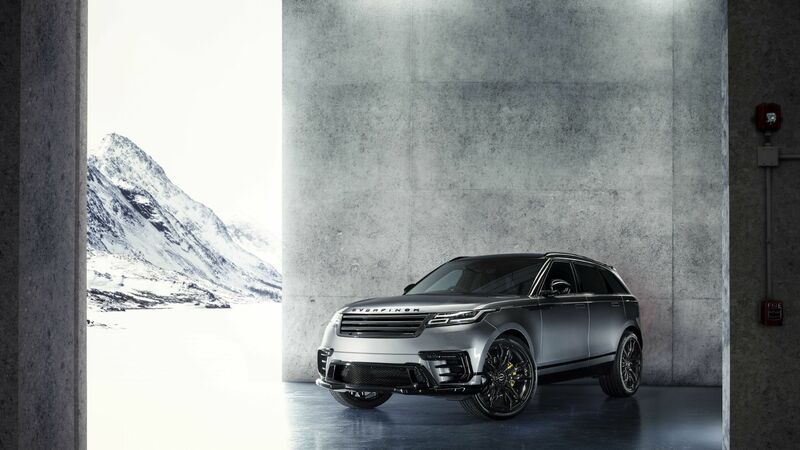 The 550hp 170mph Velar has the anchors to keep those monstrous numbers in check. 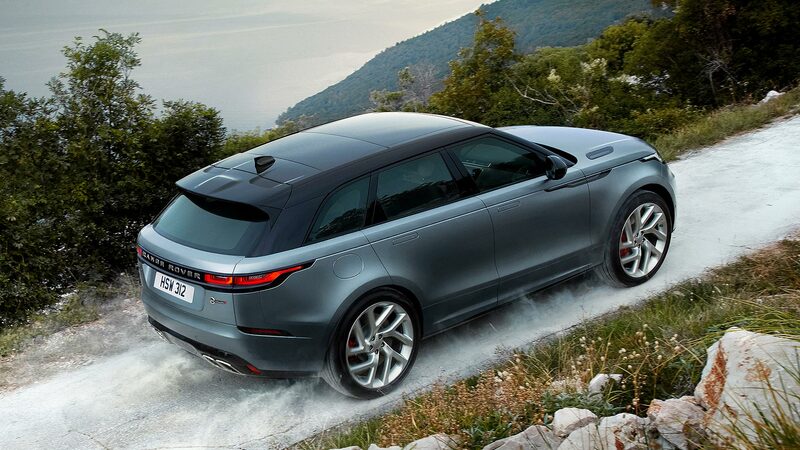 Up-rated high-performance brakes hide beneath 21-inch forged wheels. 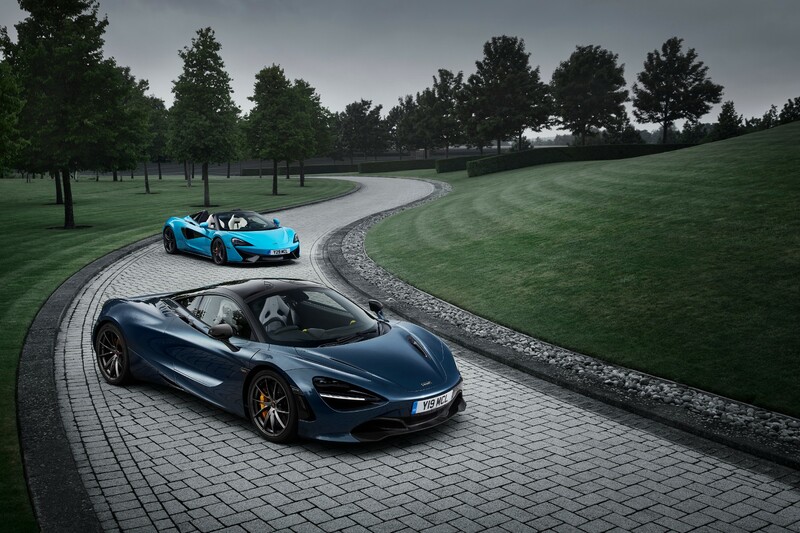 The discs are 395mm at the front and 396mm at the rear. The red brake callers have four pistons at the front. You can get 22-inch diamond-turned wheels as an option if you want a bit more bling for your buck. 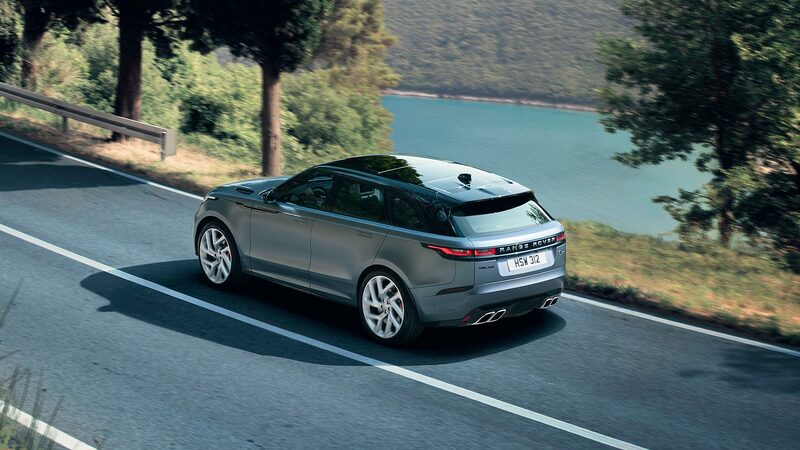 Putting all that performance to ground is the advanced intelligent driveline dynamics system, which can put as much as 100 percent of the Velar SVA’s power to the rear wheels if the situation calls for it. 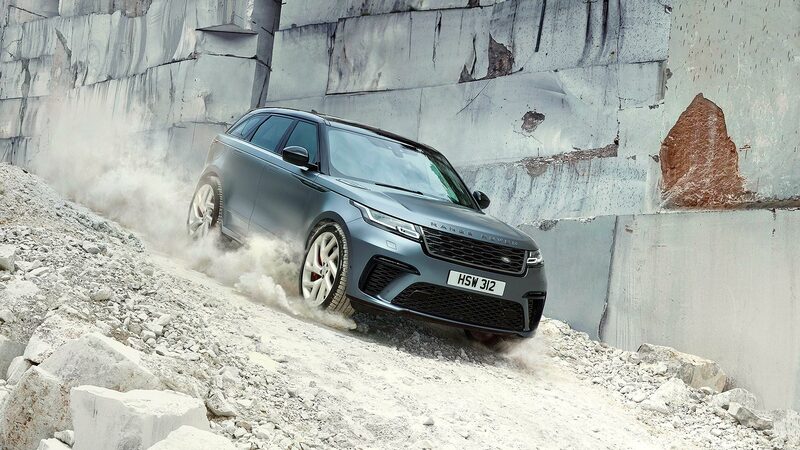 Continually variable dampers work with firmer air springs and an upgraded anti-roll system to keep the supercharged Velar on the flat and level. 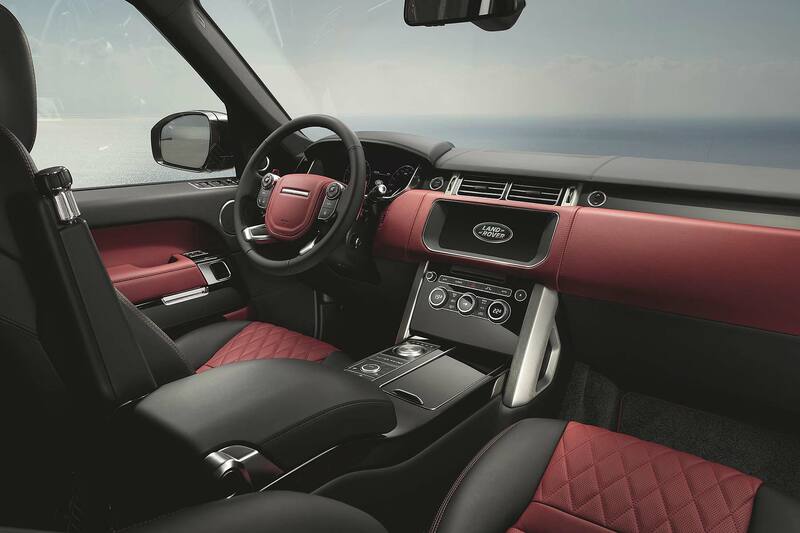 It is a Range Rover, after all, so the cabin has to be second to none. 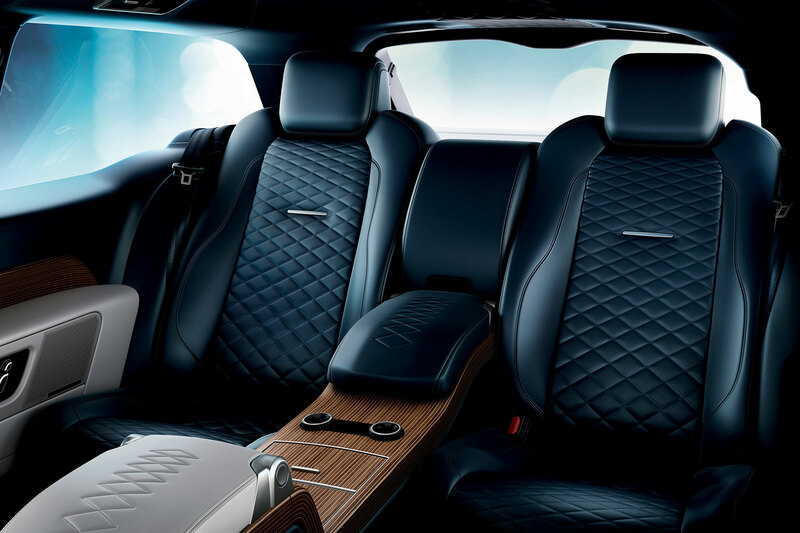 As well as a 550hp supercharged V8, your Velar SVA will come with quilted, perforated and twin-stitched leather. 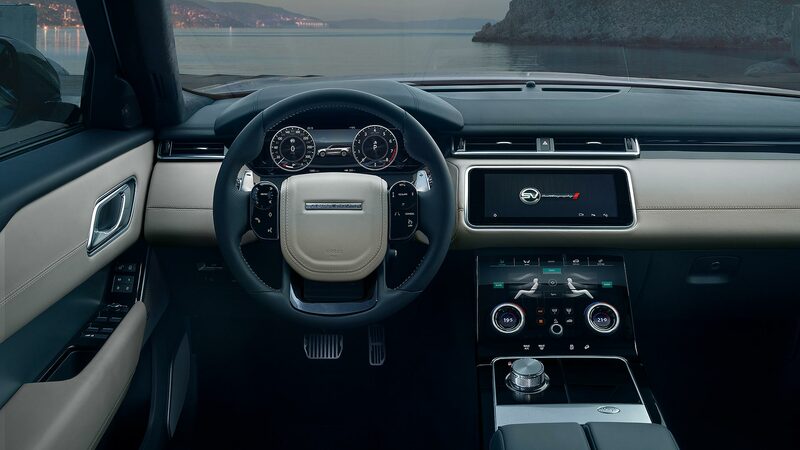 Unique also to the SVA is a sports steering wheel and yes, the metal knurling continues on the inside with the infotainment dials and rotary shifter. 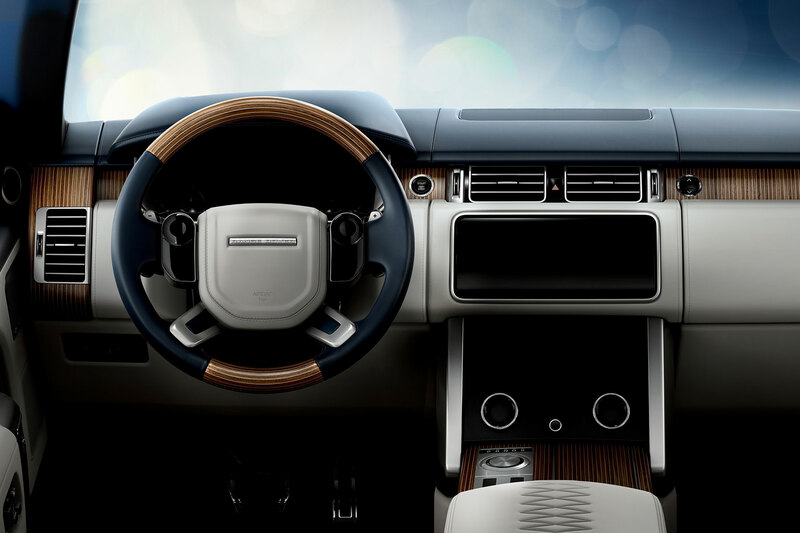 All the other luxuries you’d expect of a top-end Range Rover are present – 20-way adjustable massaging heated and cooled seats included. 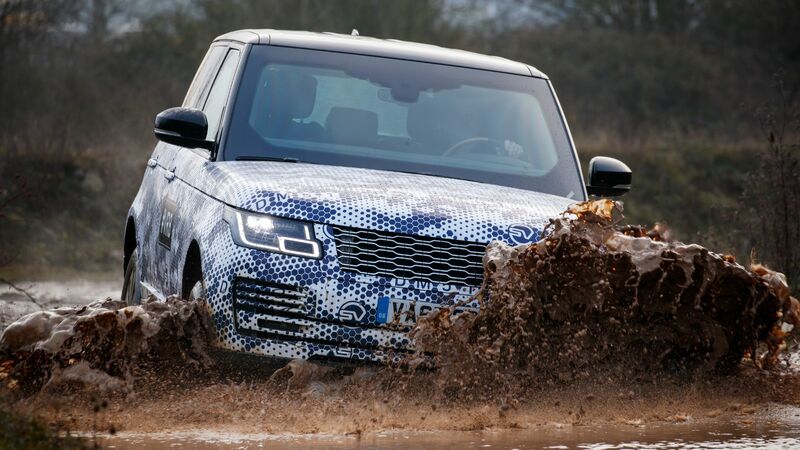 All in all, the Velar SVAutobiography has the air of a skunkworks special about it. 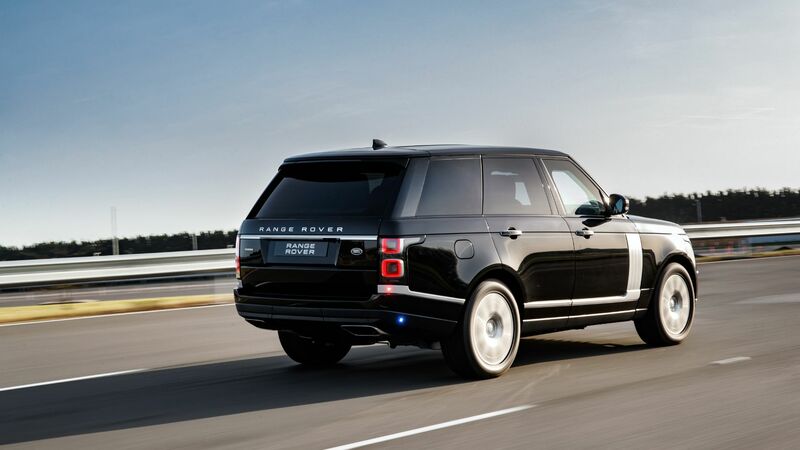 It seems almost naughty that you can now get the middle-sized Range Rover with 550hp of supercharged V8 muscle. It now has the performance to match those sleek and sporty looks, now upgraded themselves in SVA trim. 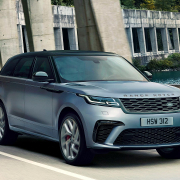 It rather begs the question… if you can get in an SVAutobiography Dynamic Edition Velar for £86,120, why would you pay out near-on £100,000 for an SVR Range Rover Sport? 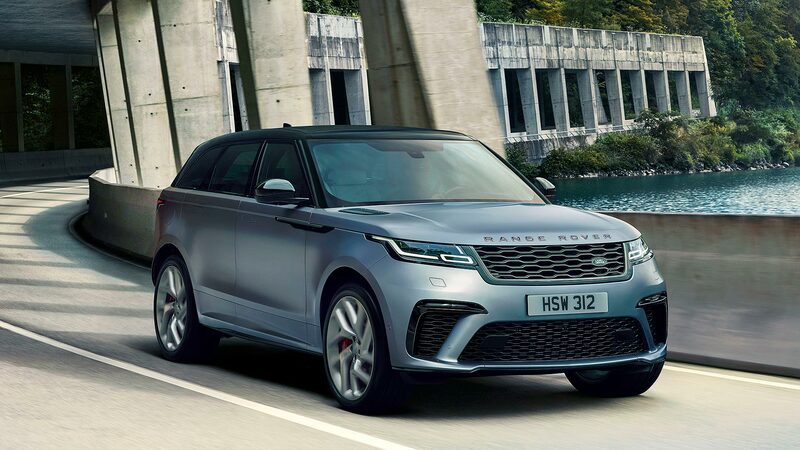 The performance is almost identical and in spite of the Sport’s recent facelift, the Velar retains that next-generation feel to it. 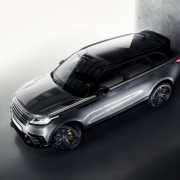 2017 Range Rover Velar CONFIRMED – the fourth Range Rover is go! 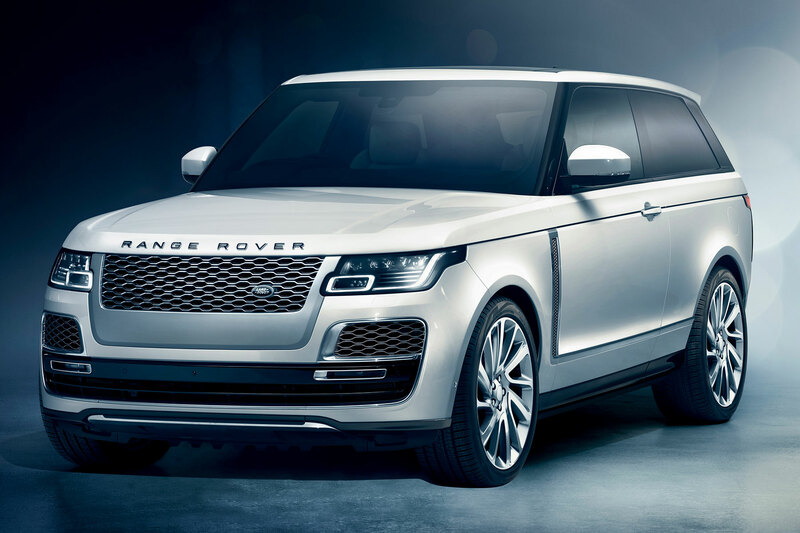 The new Range Rover Velar will go on sale later this year, Land Rover has confirmed, slotting into the gap between the Range Rover Evoque and Range Rover Sport, and finally giving the British firm a direct rival to the Porsche Macan. 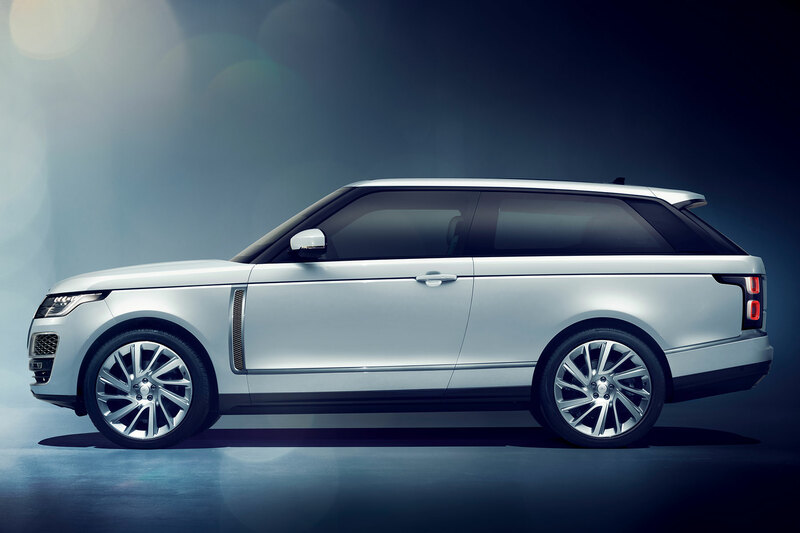 Revealed in a teaser image, the new Range Rover Velar is being described boldly by Land Rover chief design officer Gerry McGovern. 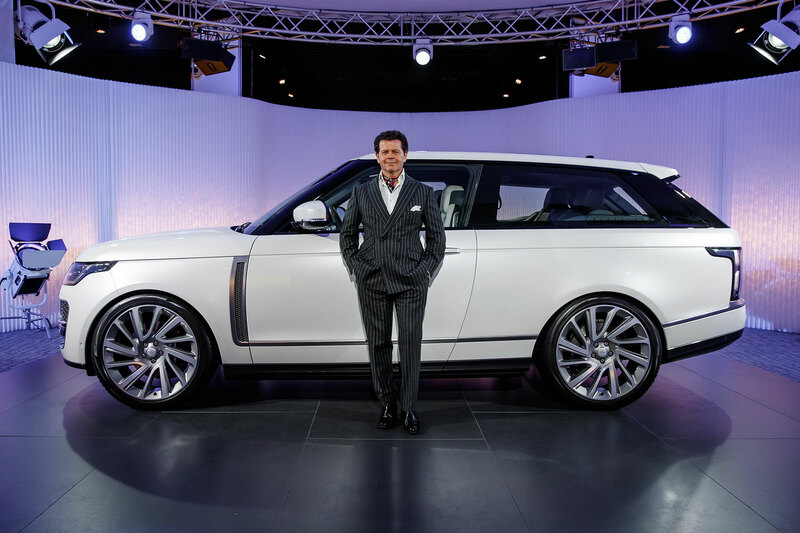 “We call the Velar the most avant garde Range Rover,” he says. 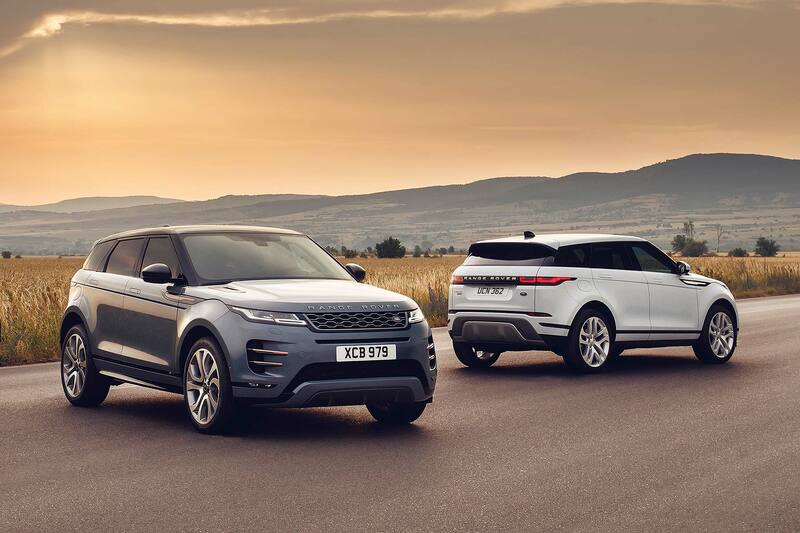 Likely powered by the JLR 2.0-litre turbo petrol and turbodiesel engine range, plus the 3.0-litre supercharged V6 from the F-Type, Land Rover will be determined to give the Velar (pronounced ‘vel-ar’) a sporty on-road drive. 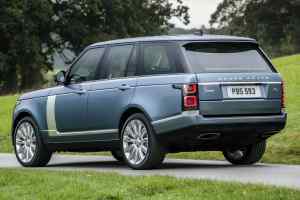 Jaguar has proven this can be done with the F-Pace and Solihull will want to make a similar impact. The teaser shot shows broad shoulders, an aero-tuned roof spoiler and what looks like a diffuser hidden in the rear metal kick plate. 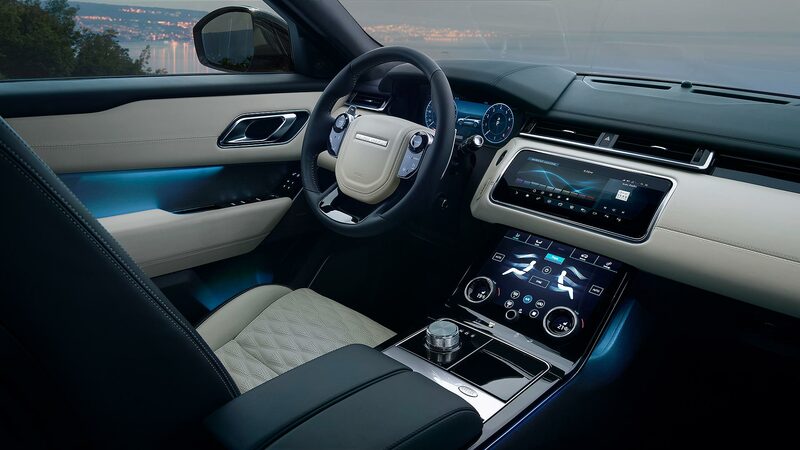 Inside, we can see the latest widescreen JLR InControl Touch Pro infotainment system, plus a configurable set of electronic instruments. 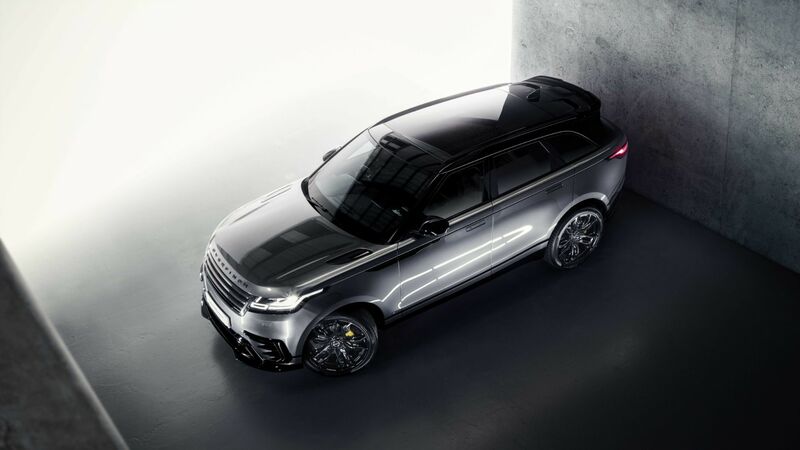 The full global debut of the new Range Rover Velar will take place on 1 March; it will later go on show at the 2017 Geneva Motor Show. 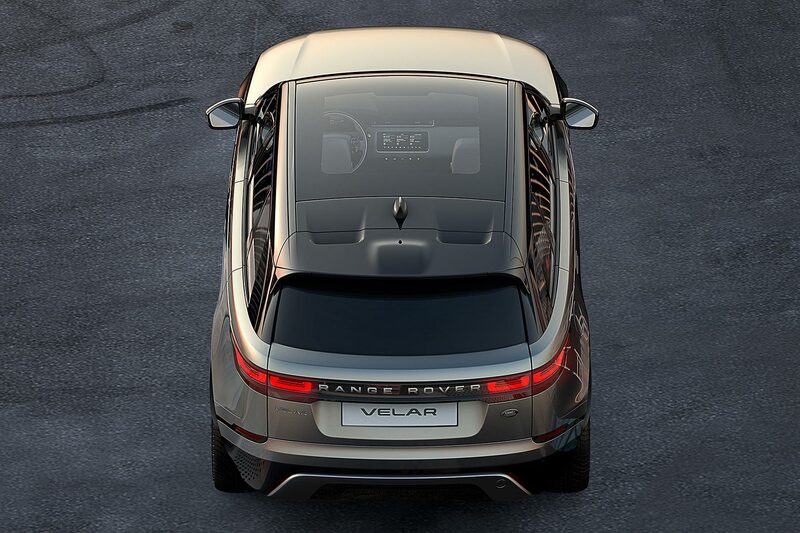 As for the Velar name, this is a nod to the firm’s heritage. 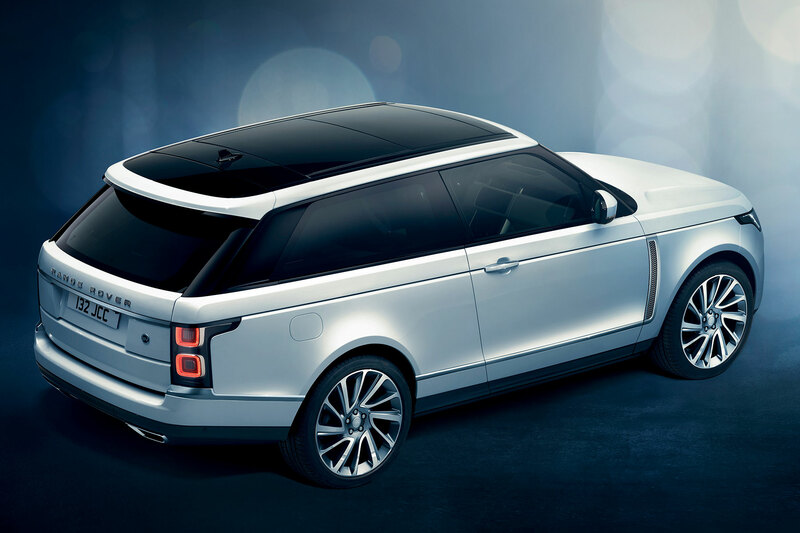 Back in the 1960s, engineers concealed the first 26 Range Rover prototypes by sticking Velar badges on them. It comes from ‘velaris’ in Latin: to veil or cover. 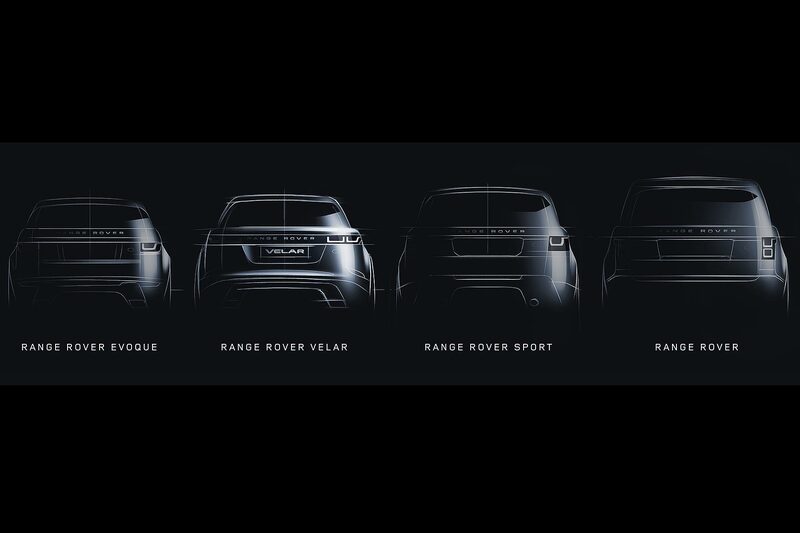 https://www.motoringresearch.com/wp-content/uploads/2017/02/01_Range_Rover_Velar_Teaser.jpg 1200 1800 Richard Aucock https://www.motoringresearch.com/wp-content/uploads/2018/12/mr-top-motoring.svg Richard Aucock2017-02-22 06:07:512017-02-22 06:07:512017 Range Rover Velar CONFIRMED – the fourth Range Rover is go!